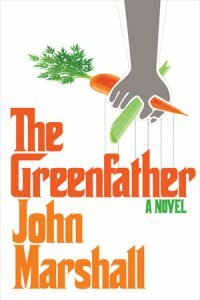 THE GREENFATHER is the hilarious debut novel from Emmy-nominated comedy writer, John S. Marshall. A shrewd satire for our times, THE GREENFATHER strikes the heart of current issues of dispute between environmentally aware, organic, green supporters and classic, conservative scofflaws of the crime family genre – all with hysterical results. Simon, New York’s top organic grocery store owner has a secret: his dad is the head of one of New York’s biggest mob families. When his dad dies, Simon agrees to head the Family, provided that instead of murder, numbers and other rackets, the mob uses its muscle to enforce green regulations and promote healthy eating habits. At first the mob’s hit men and extortionists resent being pressed into green service, but they soon become Simon’s biggest supporters. Seemingly overnight, the city becomes literally cleaned up. Simon, who had planned on succeeding his dad only temporarily, now finds he likes his new position as the head of the Family. However, the green world doesn’t accept him because he’s running a crime family, and the crime world doesn’t trust him because he’s run afoul of the Feds. Loosely based on Mario Puzo’s runaway hit The Godfather, THE GREENFATHER showcases Marshall’s comic dialogue, honed from his years as a writer for late night television. In the grand tradition of classic mob comedy, like Analyze This and Analyze That. THE GREENFATHER is packed with larger than life goons, right-hand men, Feds, and green-fanatics. THE GREENFATHER is one of the funniest books of the year, maybe decade, and will have readers busting a gut on every page. John S. Marshall is an Emmy-nominated writer who lives in New York City with his wife Meredith, an actress, photographer, and environmentalist, and Baxter, a Maltese rescue. John has written for The Chris Rock Show, Politically Incorrect, Tough Crowd with Colin Quinn, the remake of The Electric Company, and many other shows. 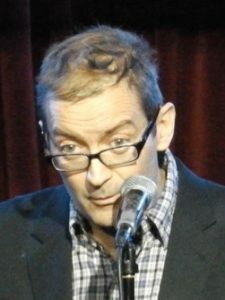 He has also written for The Huffington Post, MAD Magazine, and Bazooka Joe Comics and has performed improv with Upright Citizens Brigade and Second City. He wrote for Jay Leno’s Tonight Show and Colin Quinn’s Weekend Update on SNL. His upcoming projects include Death & Faxes, an animated series about the Grim Reaper and a comic update of Washington Irving’s story about the Headless Horseman called The Legend of North Tarrytown. THE GREENFATHER is his first novel.